Ukraine's national football team played a home game against Slovakia in the UEFA Nations League; Arena Lviv stadium's empty stands hosted the fixture, where the home team beat the guests 1-0. The game resembled what the fans saw during the first match of the Yellow-Blues; the opponents played carefully, and both teams had their moments, but none managed to open the score in the first half. 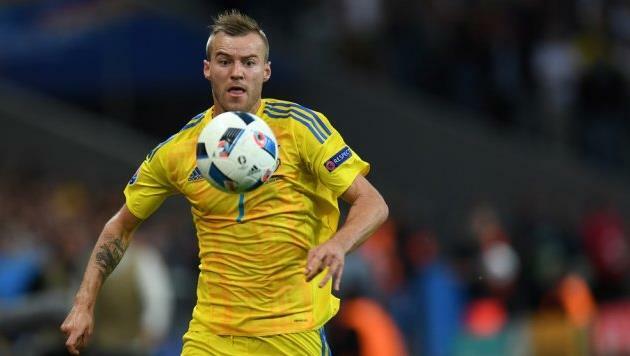 It was Ukraine's leader Andriy Yarmolenko who scored from a penalty kick late in the second half. This sealed the fate of the game. Next, Ukraine will face Italy on October 10; six days after that, it will have the second leg with the Czech team. The UEFA Nations League is a biennial international association football competition to be contested by the senior men's national teams of the member associations of UEFA, the sport's European governing body. The first tournament commenced in September 2018, following the 2018 FIFA World Cup. The four group winners from League A will qualify for the finals, to be played at a yet to be decided European city in June 2019. Four nations, one from each League, will also qualify for the UEFA Euro 2020 finals. The competition will largely replace international friendly matches currently played on the FIFA International Match Calendar.